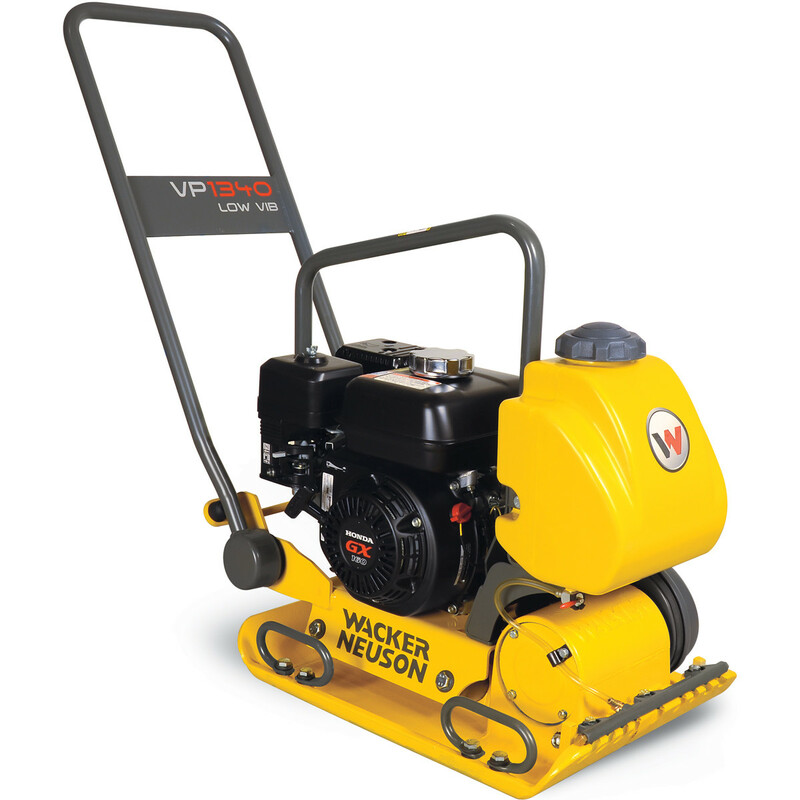 The Wacker Neuson VP1340AW Value Single Direction Vibratory Plate is designed for use on soil and asphalt surfaces, and allows contractors to perform compaction tasks with greater speed and results. It features a guide handle that reduces vibrations to decrease operator fatigue, allowing for increased productivity. 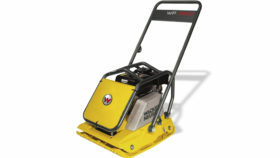 The Wacker compact vibratory plate is ideal for compaction tasks in small spaces. It has a high travel speed, and it is easy to handle and move. 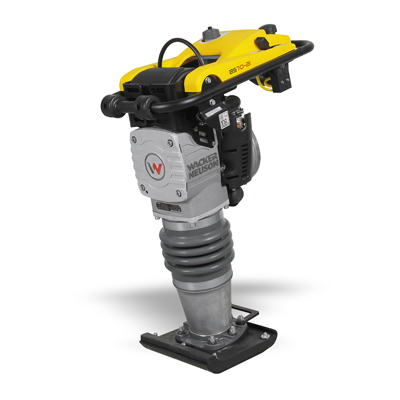 The water tank of the Wacker VP1340AW value single-direction vibratory plate has a greater capacity for ease of use and optimal results. Its lifting handle has an ergonomic design to make it easier to transport it from one site to another. 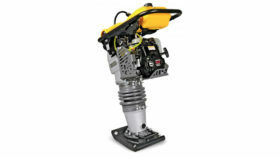 The Wacker compact vibratory plate works on hot asphalt thanks to its exciter bearings. The handle design has changed along with minor changes to aesthetics and internal components. Premium asphalt plates feature a durable baseplate for various applications. These premium vibratory asphalt plates feature a tough, wear resistant, ductile iron baseplate offering high strength and shock resistance. Baseplate has a tapered bottom and edges for high speed and excellent maneuverability. Designed for the compaction of granular and mixed materials with some cohesive content in confined areas such as parking lots, highway and bridge construction, next to structures, curbs, and abutments.